Good morning everyone hope you are all well. Today's card was a nice quick and easy one using my favourite colour Purple. 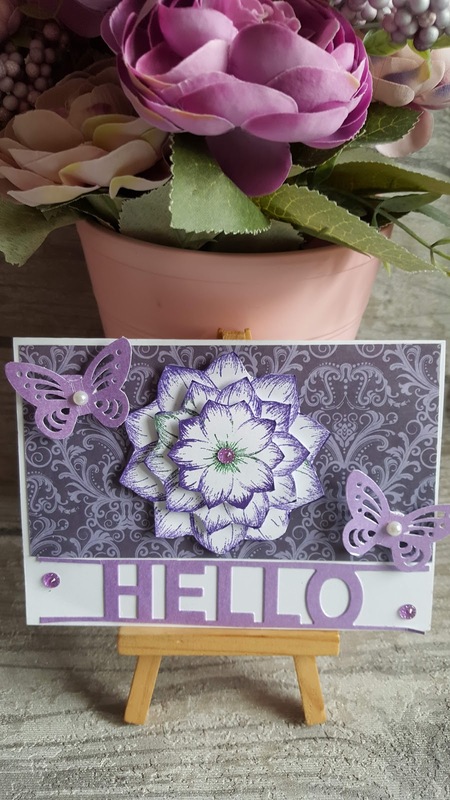 I used the Hello die and a mix of branded and unbranded products. Hope you like the card. please take a look at my you tube video and like and subscribe if you enjoyed it.